Motichoor laddu is famous Indian dessert, motichoor laddu also know as boondi ke laddu. Delicious motichoor laddu is prepared with gram flour batter along with sugar syrup and cardamom flavour. Motichoor laddu generally offer to god as a prasad(religious offering), so we always prefer to make them at home, fresh, clean and with devotion during festivals. 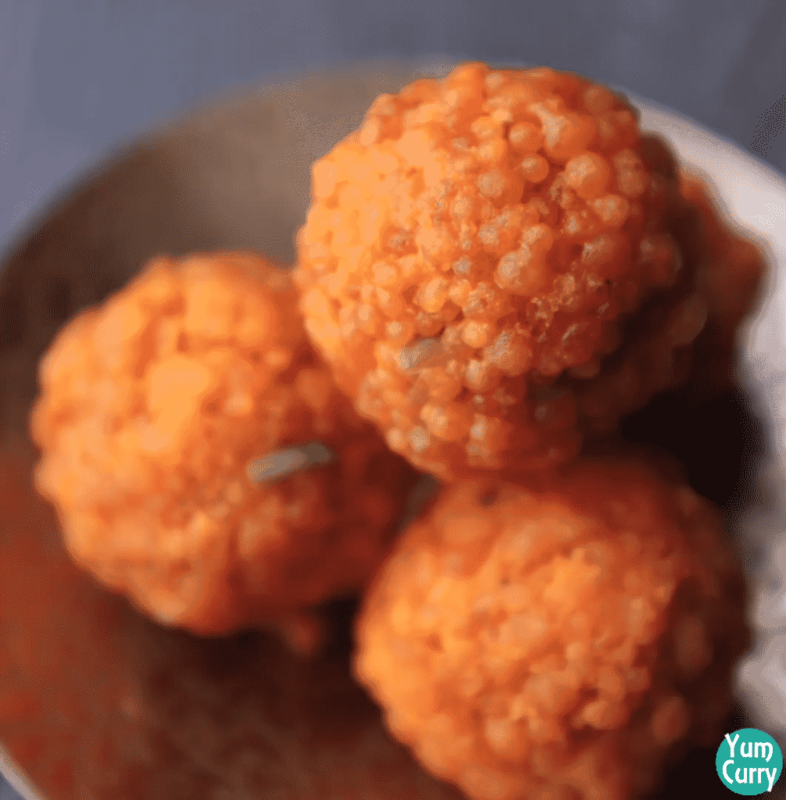 Follow this post to learn how to make motichoor laddu step by step with photos with very few ingredient and easily available utensils. Matichoor laddu can be broken in to moti which means pearls and choor means crushed. so motichoor laddu is prepared with tiny drops(pearl size) made by gram flour batter (also called boondi), and later crushed into smaller chunks. Motichoor laddu is popular throughout Indian subcontinent These laddu are very soft and mouth melting texture. Motichoor laddu taste best when you have them freshly made. Boondi laddu preferably prepare at home during festivals and marriages. You will find these laddu in any sweet shop and can enjoy them any time. 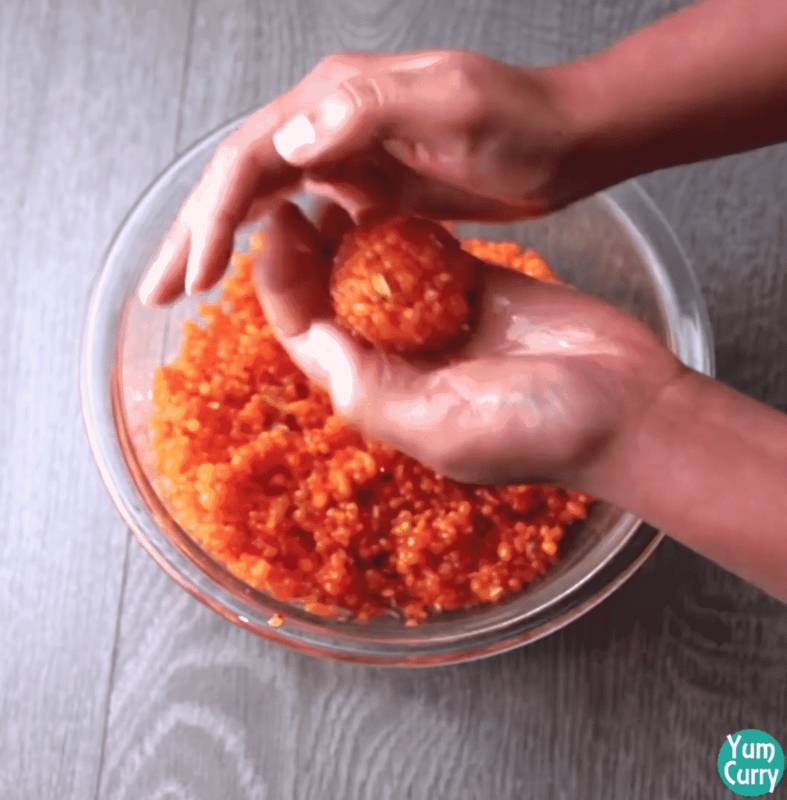 Making these laddu is little lengthy process but end result is worthy of all effort. These home made laddus make excellent gifts for Diwali for your friends and family. 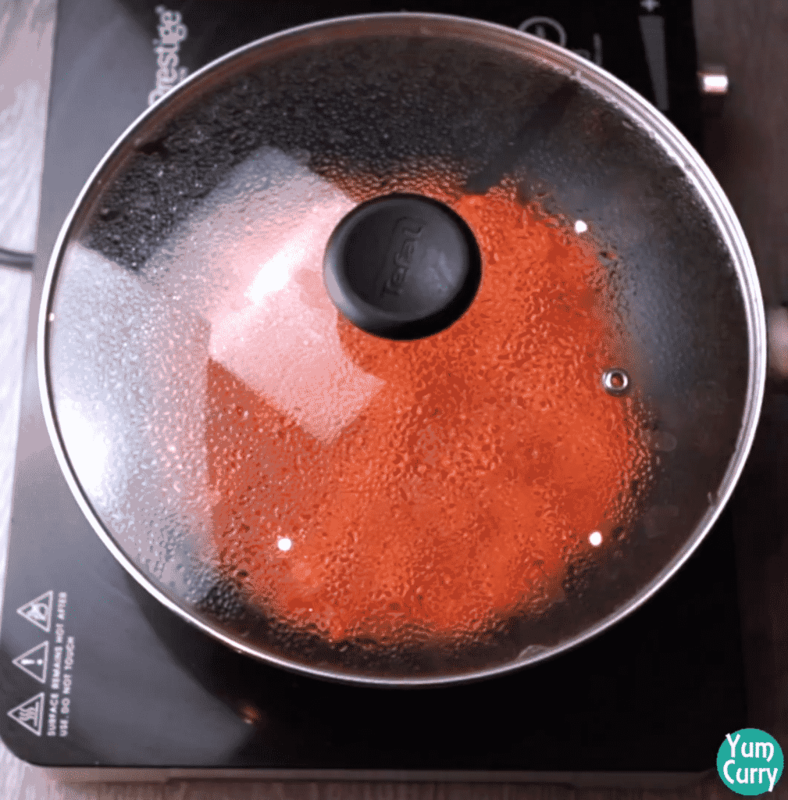 Making motichoor laddu is little lengthy process, these laddu prepared in 3 steps. First we prepare boondi then sugar syrup and at last shaping the laddu’s. Boondi’s are small drops prepared with bengal gram flour(besan). Without boondi maker it is tricky to prepare boondi. I also didn’t use jhara(boondi maker) for making boondi instead I tried to make it with perforated spoon and boondi comes out nice and well shaped. Texture and taste of laddu is depends on boondi, we need soft boondi for laddu. For making perfect boondi batter consistency, frying boondi at right temperature and for right time are important steps. Boondi batter should be moderately thin (runny). 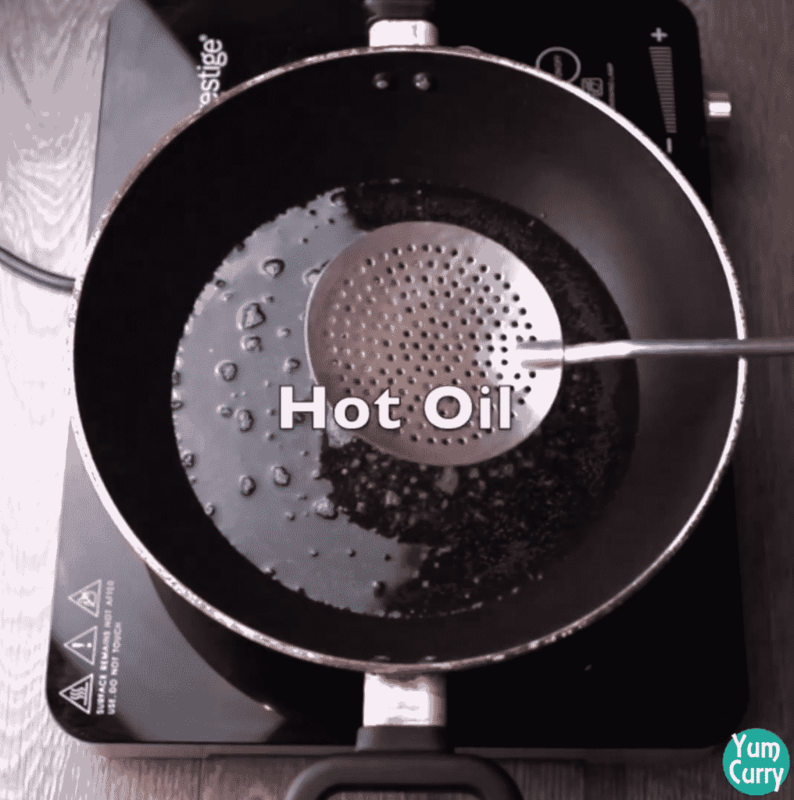 Heat oil and start pouring batter carefully. If batter is thick boondi won’t easily pass out from spoon and if it is too thin you will get flat boondi, so test batter consistency just before frying and adjust it by adding water or gram flour. when you get right consistency batter pour and continuously tap perforated spoon. Don’t worry about the size if boondi is big you can crush them into smaller chunks. 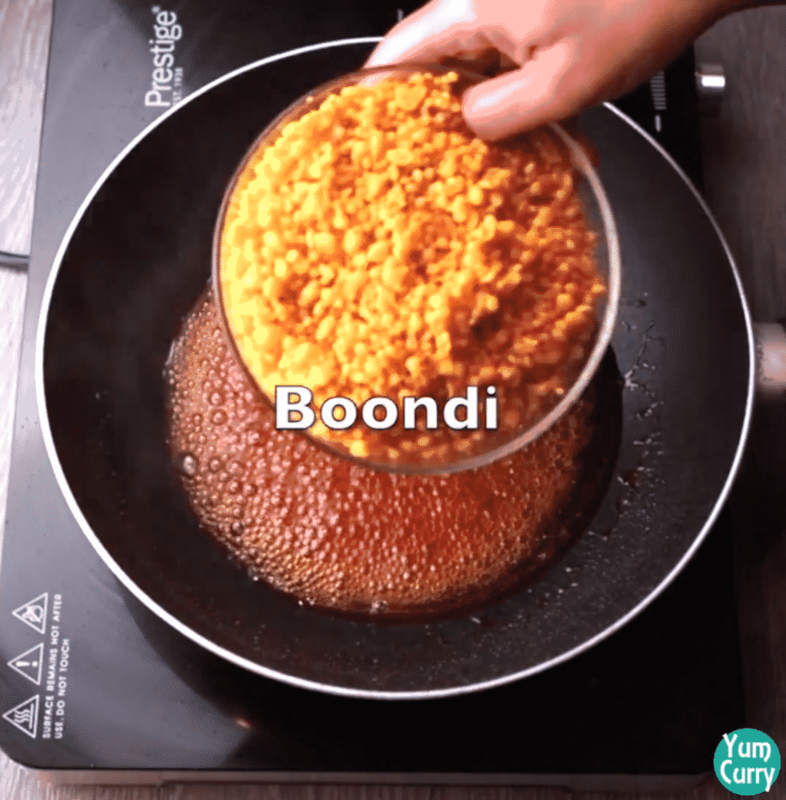 When boondi is prepared, make sugar syrup exactly of one string consistency if you are making laddu to keep it for long time add little bit of lime juice to prevent crystallisation. 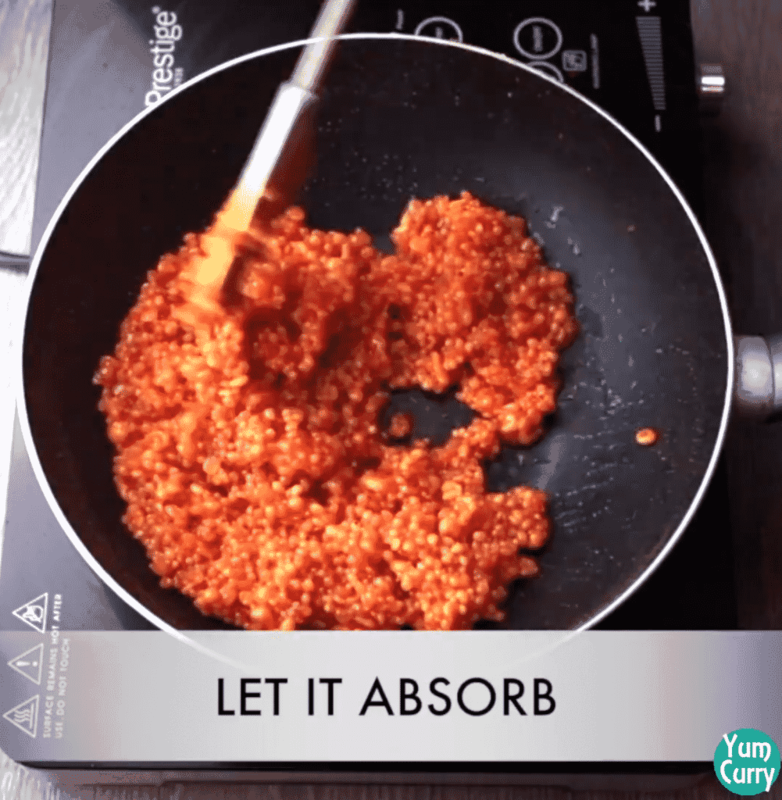 Soak boondi in sugar syrup when it absorb syrup nicely start binding laddu. I used saffron colouring. Instead of one colour you can also make them in two colour. Green and orange boondi give stunning look to laddu, so with orange colouring you can also make some green colour boondi. 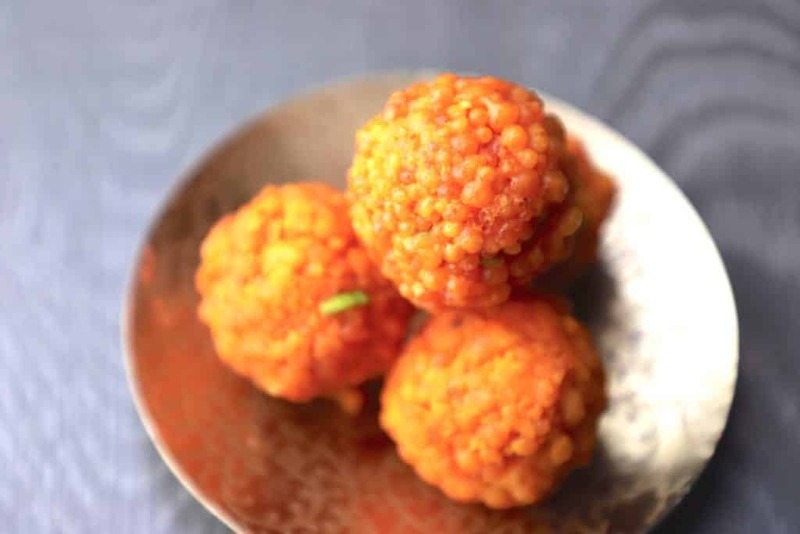 Laddu is prepared with fried boondi and soaked in sugar syrup so it can be store for around 2-3 days at room temperature and 7-8 days into the refrigerator. Batter consistency is important, if batter is thick boondi won’t pass through easily from perforated spoon and if it is thin you will get flat boondi. 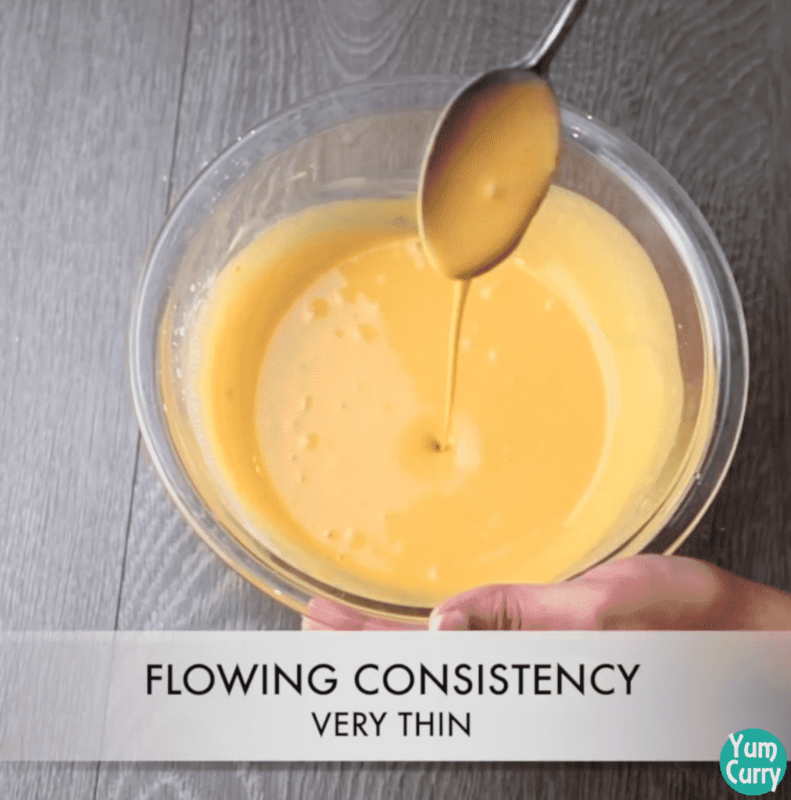 You can check its consistency while frying and adjust it later by adding gram flour or water. 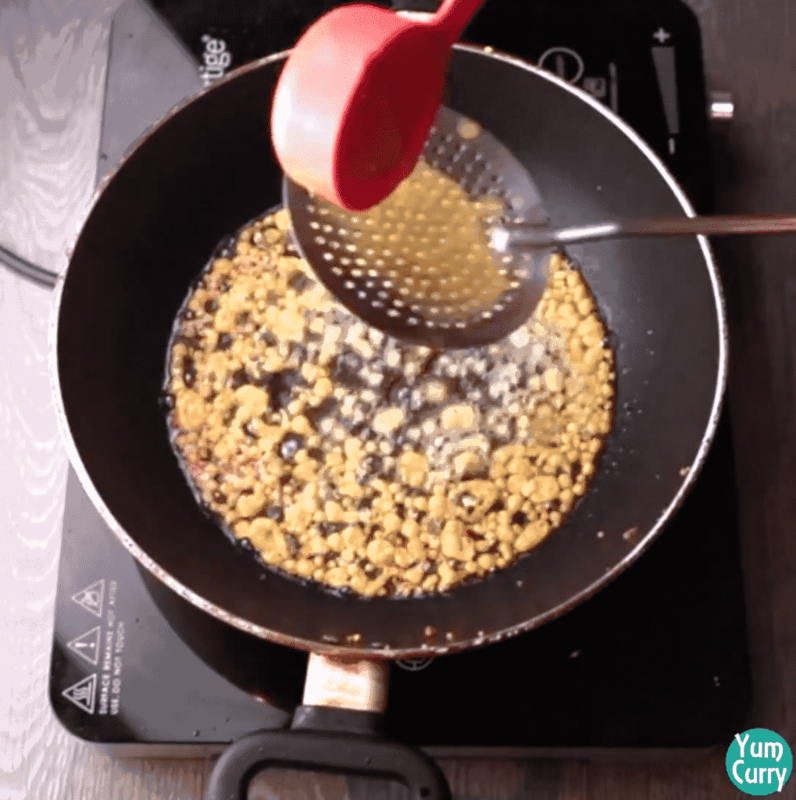 Do not make boondi crispy or over fried it. 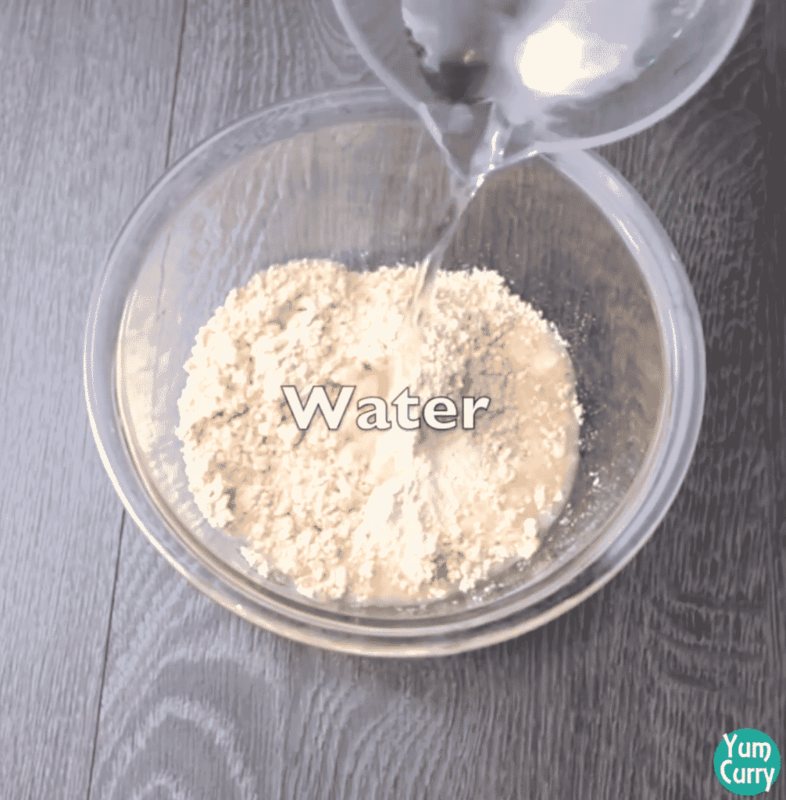 Sugar syrup should be of 1 thread consistency, if it is thick laddu will turn out hard. Add boondi in hot sugar syrup(for good absorption), so always prepare it after making boondi or side by side. You can also add melon seeds, black cardamom seed in boondi mixture. Laddu can be store in air tight container for couple of days and to keep for longer time (about a week) you can refrigerate them. Try more dessert recipe like besan barfi, chandrakala, milk cake, peda, rasgulla, gulab jamun, kajukatli click on the link to get full recipe. 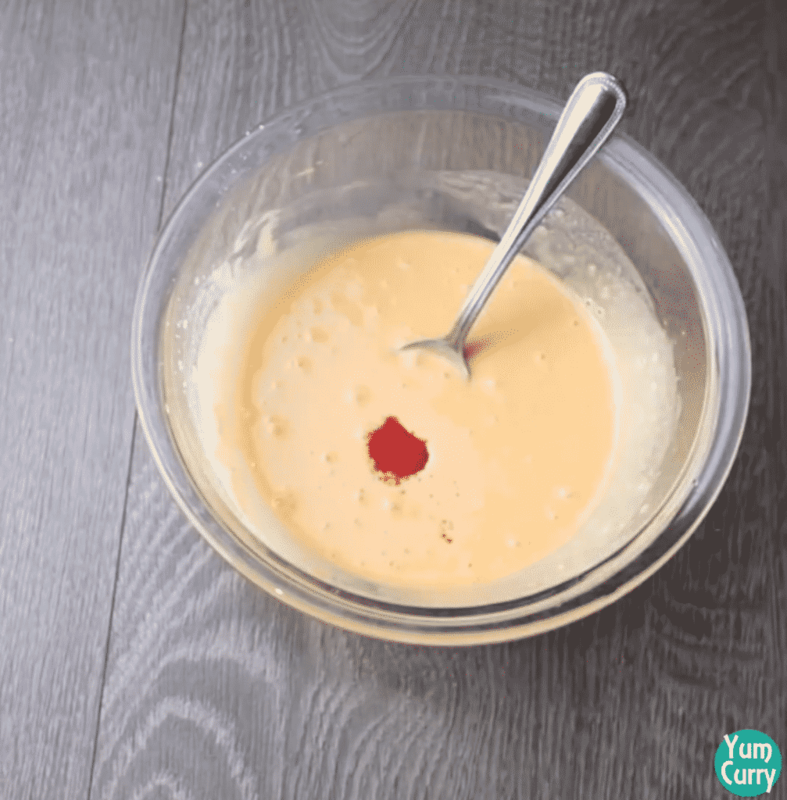 For making boondi, take gram flour in to a mixing bowl. Start adding water little at a time. 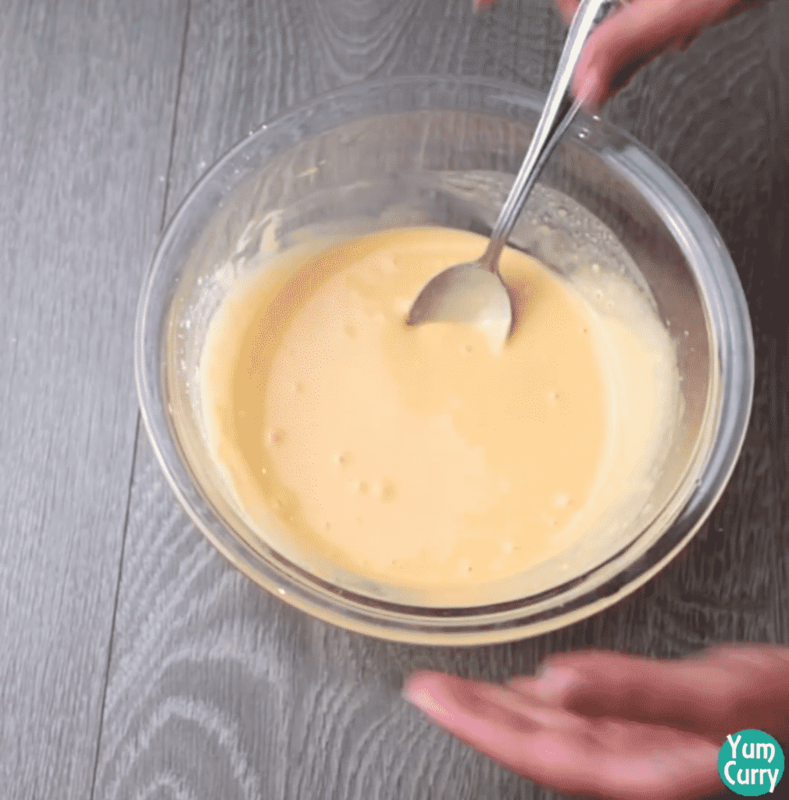 Mix well to prepare lump free batter. 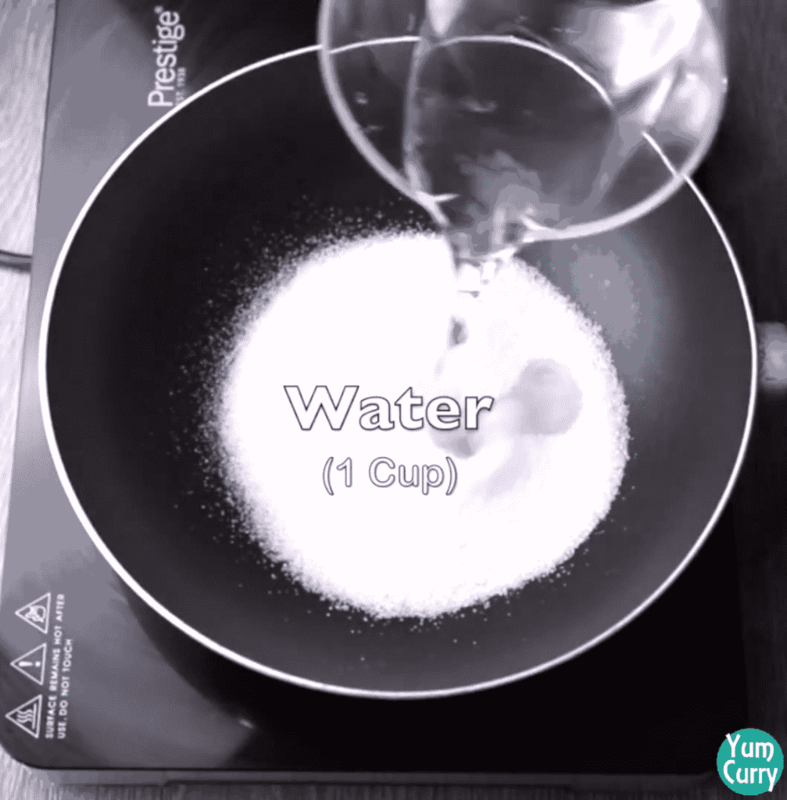 Add water until you get running consistency batter. 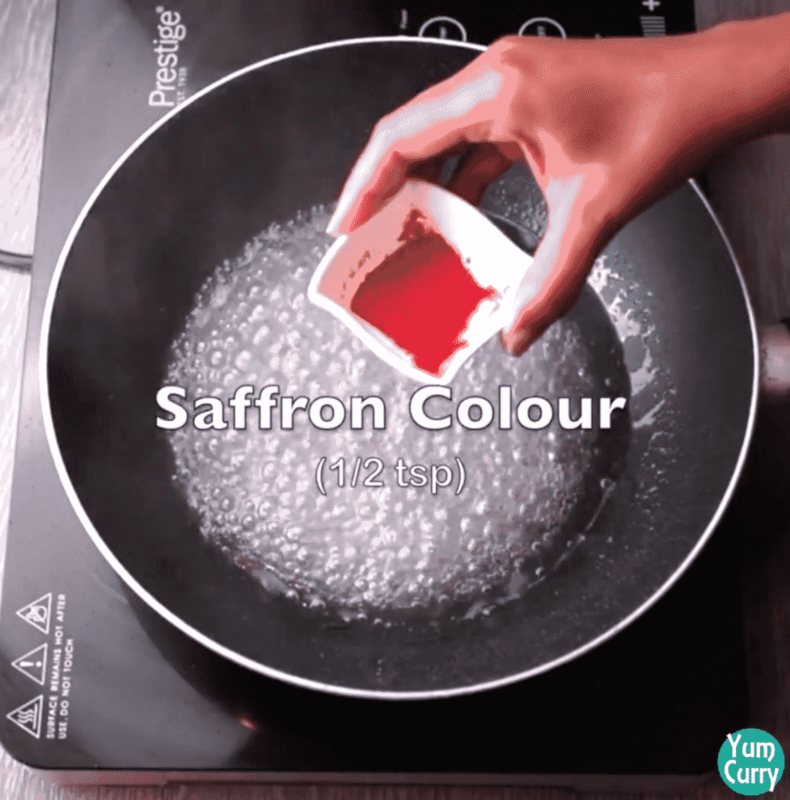 Add saffron colour and give it a good mix. 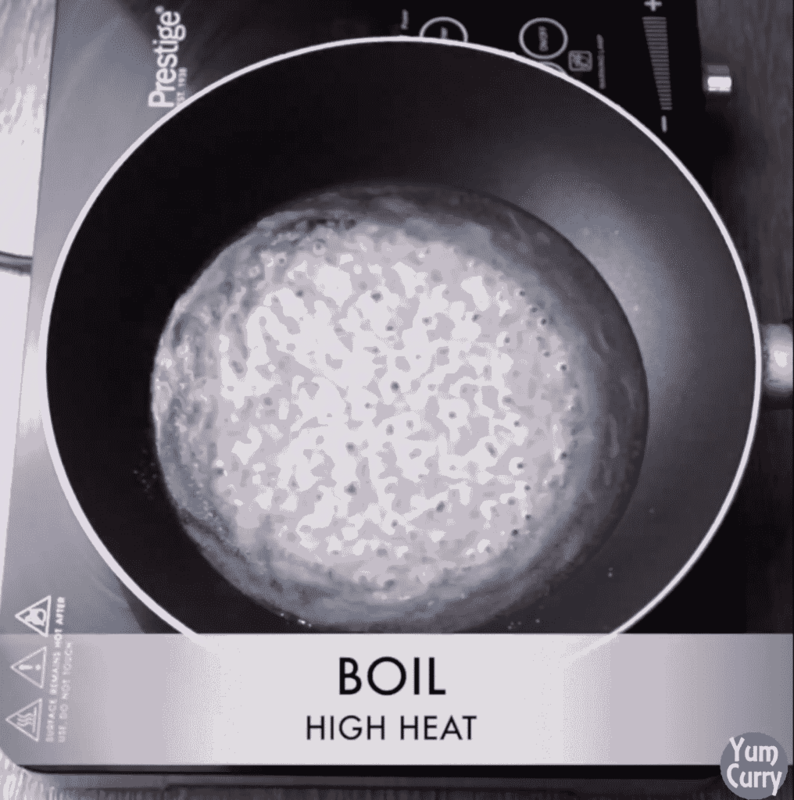 Heat oil/ ghee in a broad pan or kadhai. Hold frying spoon( one with small holes) right above the kadhai/pan. Pour some batter and tap spoon against pan/kadhai edge, you will notice tiny ball of boondi start falling from spoon holes. Repeat same process until kadhai surface filled with floating boondi( do not drop too much boondi in one batch). Fry them in medium heat for 2 minutes. In this way fry boondi in batches. Once done remove boondi from oil/ghee and place them on a paper towel to soak excess oil. 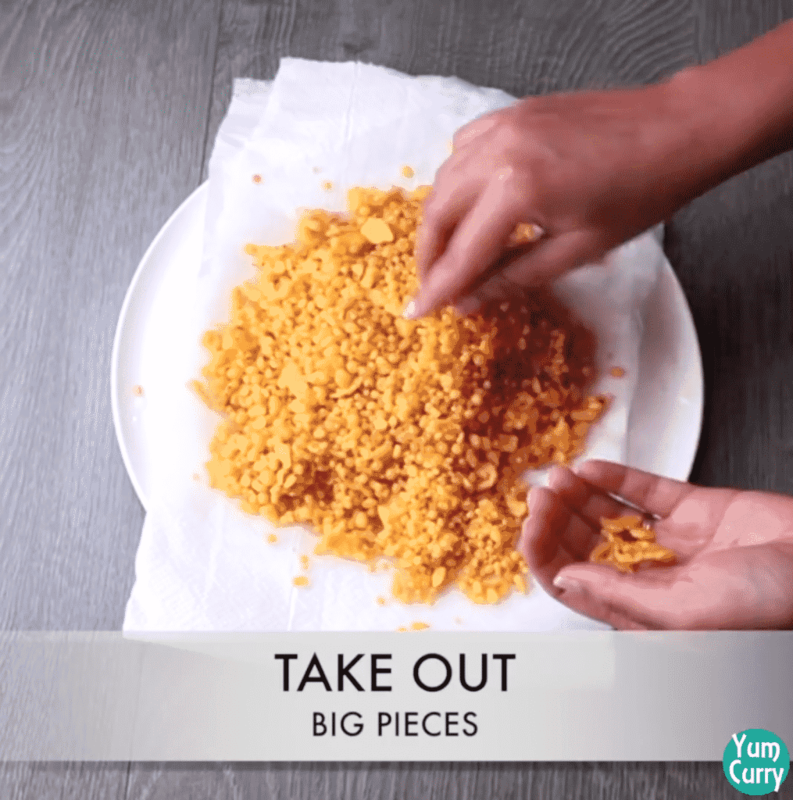 If there are big chunks of boondi you can discard them or crush in to small chunks. Boondi is ready. 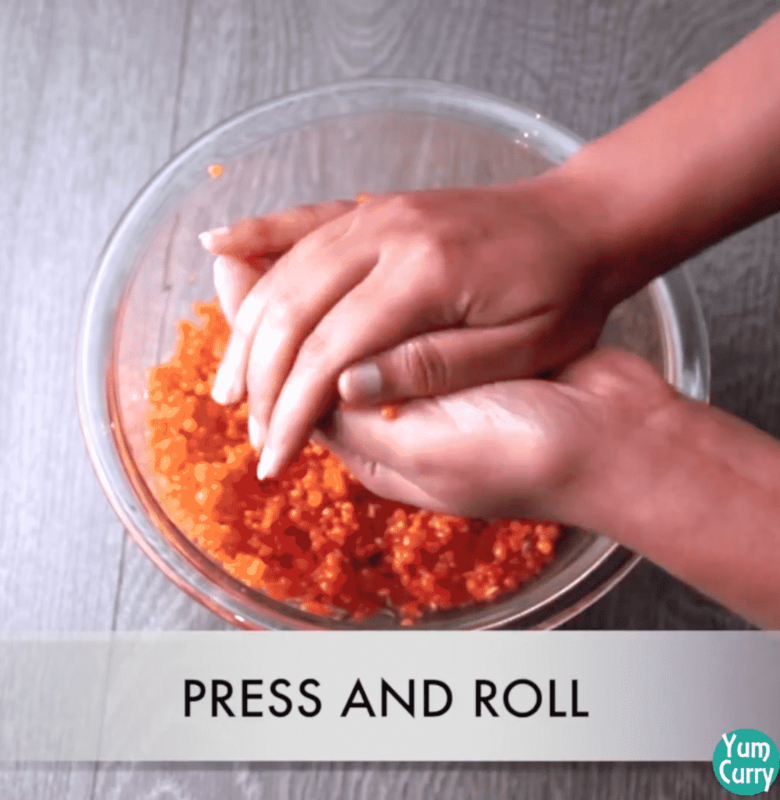 For making laddu, add sugar and water in a pan. Take it to boil on high heat and cook until sugar dissolve completely. 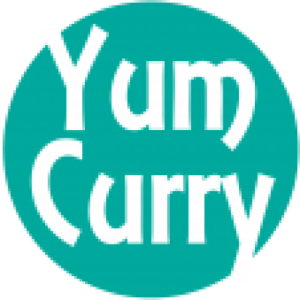 Check for its consistency, we are looking for 1 string consistency sugar syrup. 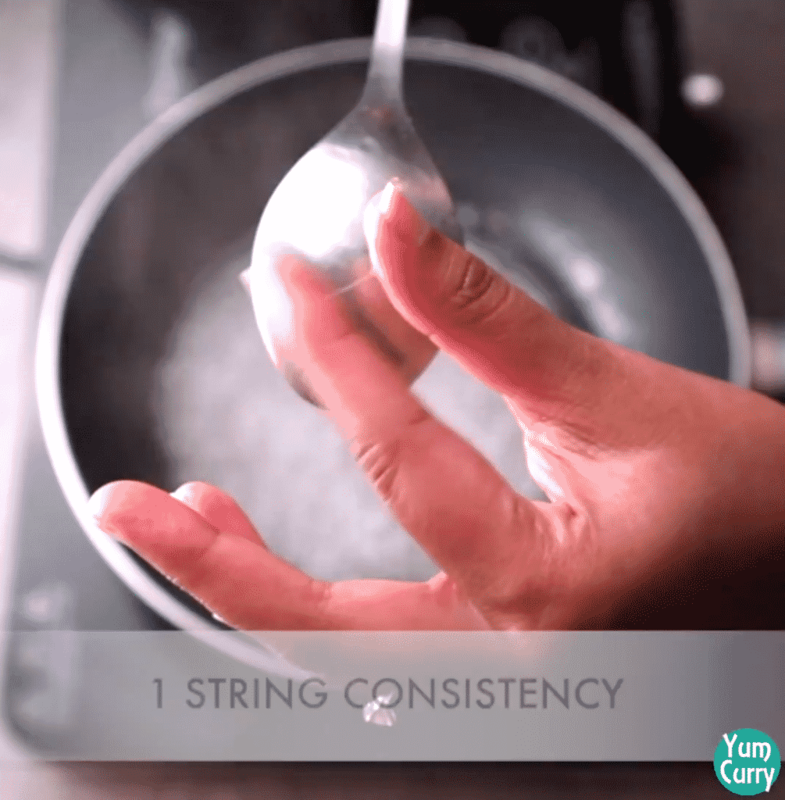 When it reaches to 1 string consistency add saffron colouring. Mix well. 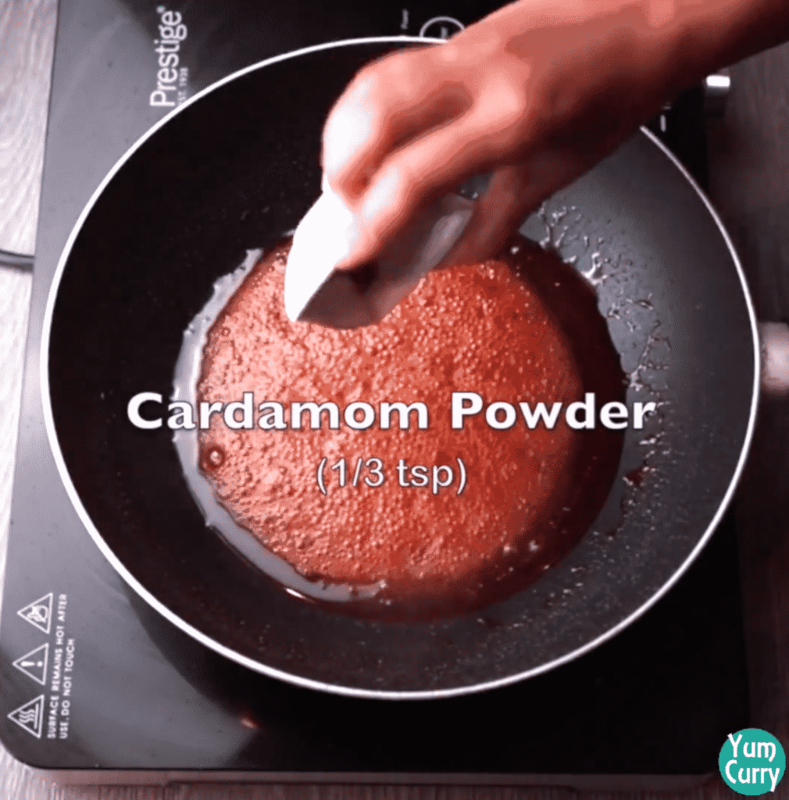 Add cardamom powder and fried boondi to the sugar syrup. Mix gently till the mixture is well blended. Switch off the heat. Cover and leave it for 20 minutes. When mixture cool down and boondi soaked sugar syrup nicely. Transfer the mixture in to a bowl and add chopped pistachio. Take a small portion from the mixture. Press and start shopping laddu. Give it a good round shape. Repeat same process with rest of the mixture. Soft, tasty, mouth melting laddu are ready. Heat oil/ghee in a broad pan or kadhai. Hold frying spoon (perforated spoon-one with small holes) right above the kadhai/pan. Repeat same process until kadhai surface filled with floating boondi( do not drop too much boondi in one batch). Fry them in medium heat for 2 minutes. 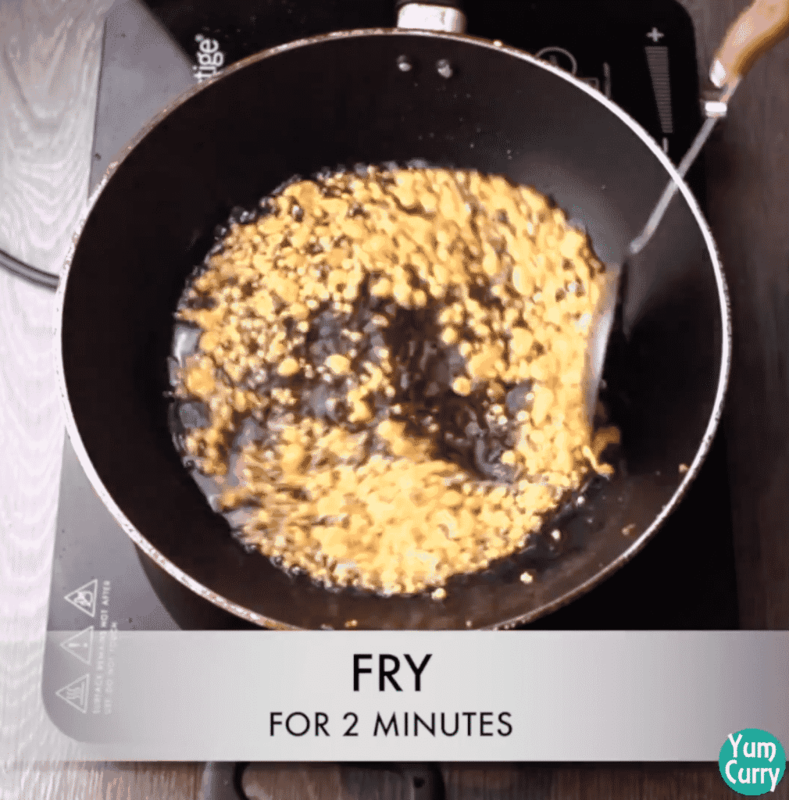 In this way fry boondi with rest of the batter in batches. Once done remove boondi from oil/ghee and place them on a paper towel to soak excess oil. If there are big chunks of boondi you can discard them or crush in to small chunks. Boondi is ready.